Calcium oxide reacts with water, 1 of 3. 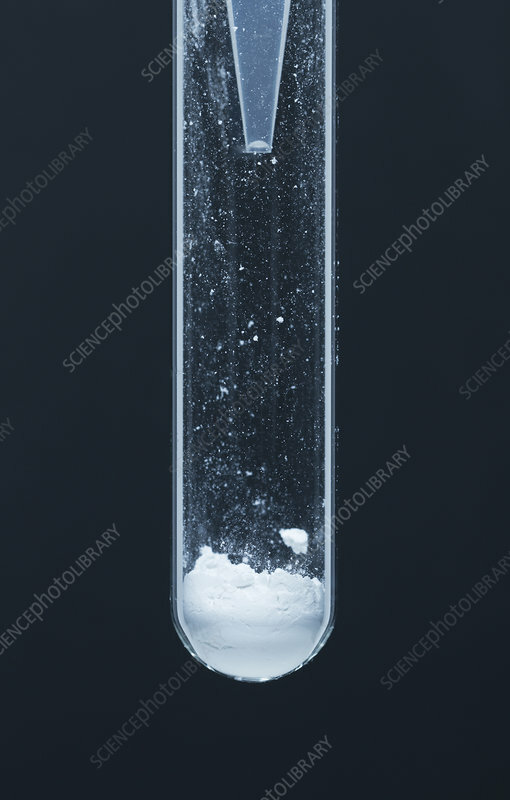 A small amount of calcium oxide (CaO, quicklime) in a test tube is mixed with water. Calcium hydroxide (Ca(OH)2, hydrated lime or caustic lime or slaked lime) is produced in the exothermic reaction: CaO + H2O -> Ca(OH)2. This process is known as slaking.